We're thrilled to announce the release of the second vintage of Hop Kiln Estate Pinot Noir! This unique bottle features the iconic stone hop kilns from our property. The best grapes make the best wines. At Landmark®, that’s our philosophy and our guiding principle. By sourcing the finest grapes from California’s best vineyards, we’ve been able to create wines that garner high ratings among critics and wine lovers alike. Our winemaker chooses grapes from the finest vineyards and regions to create both single–vineyard wines and intricate blends from multiple vineyards. Surrounded by gorgeous vineyards in the heart of the Sonoma Valley, Landmark is the perfect place for everything from a wine tasting weekend to a romantic getaway, to an elegant wedding or private party. 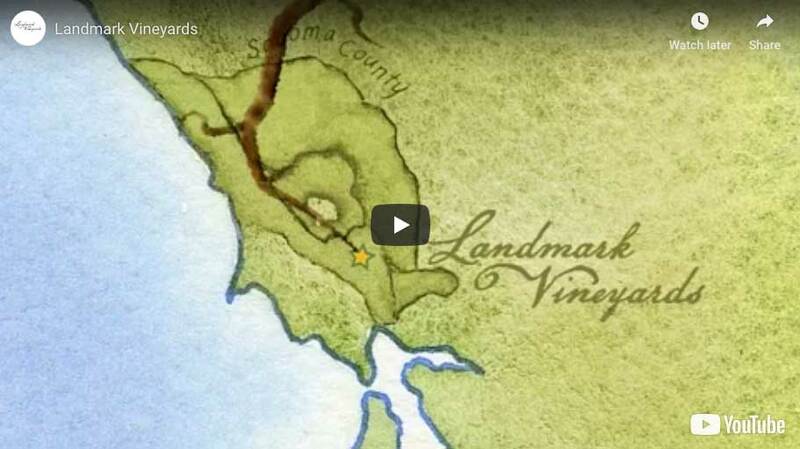 Discover a California Historic landmark amid a premium Pinot Noir vineyard. Nestled in the original stone masonry from 1905, our tasting room is ideal for history buffs and wine aficionados alike. Landmark hosts a variety of events year-round. Join us at one of the various food & wine festivals around the country or come and celebrate Spring and Harvest at the winery. We would love to see you!. Landmark was founded 40 years ago. But our heritage goes back to our founder Damaris Deere Ford’s great-great grandfather, John Deere, and his steel plow that changed the face of American farming. Take a sip and discover the best of California. Members of our Wine Club get priority access to limited production wines and invitations to exclusive events. Landmark offers our guests a complete Sonoma wine country experience. Join us for a tour or a tasting and we’ll make your visit delightful and memorable.